Will a name change make a big difference? 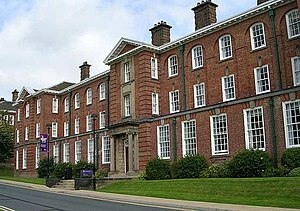 I’ve just read that Leeds Metropolitan University has had a name change approved by the Privy Council and will become Leeds Beckett University. The change has been opposed by some students who think that the £250,000 estimated cost of the change would be better spent on improving facilities. This got me thinking whether a change of name is good for business. “A good name is better than precious ointment” – Ecclesiastes 7,1. A name differentiates one person or organisation from another but it can also be an important part of a business’ description and reputation. We spend a great deal of time and money establishing our names in the minds of customers and prospects. We emblazon that name on our premises, on our communication materials including our websites and on our products. Changing our name automatically incurs considerable costs but at what benefit? According to the BBC news story Leeds Metropolitan University is changing its name because it has outgrown the name and because ‘metropolitan’ ‘indicates a lower quality product’. Lower than what? Perception is one reason why an organisation might change its name. I changed my business’ name from my own name to The Training Pack some years ago because I didn’t want to be seen as a one woman band. Expanding into overseas markets where language considerations might impact on the name is another reason to change as is the merging of companies or businesses. Organisations also change their name when things have gone wrong and they want to distance themselves from catastrophe. This is all very well if the problems have been fixed but a name change will only paper over the cracks if the fundamentals are not in place. I fear this could apply to Leeds Metropolitan. What do you think? Have you ever considered changing your business’ name? Why? Did you go ahead and, if so, did you get the outcome you desired? This entry was posted in branding, Marketing, Small business advice and tagged England, Guardian, Leeds, Leeds Metropolitan, Leeds Metropolitan University, Privy Council, Privy Council of the United Kingdom by glendashawley. Bookmark the permalink.